Hope everyone is having a wonderfully bloody 4th of July today as we celebrate with another twitter review from our resident guest critic Tim Schilling. It should be no surprise to anyone that I adore slasher films (it is, after all, the name of this site). Well, as much as I love slasher flicks, Tim loves zombie action. 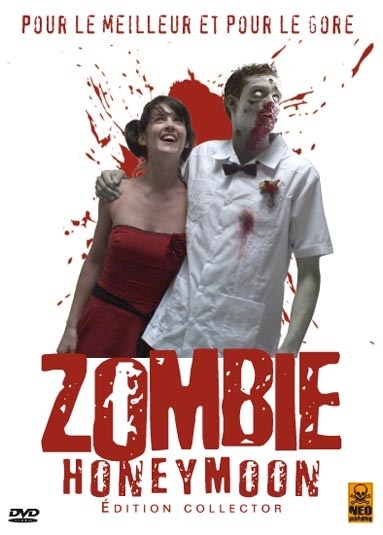 Today he is back with a brand new review of “Zombie Honeymoon.” Should be a match made in horror heaven, right? 0:06 This couple is really weird, like I don’t know how to explain it without showing. WEIRD. 0:10 I wonder what the chances are that you’re alone on the beach during the summer, and a zombie comes outta the water? 0:17 “It’s okay, you’re a zombie and bit me, I liked it” -bimbo girl. 0:21 You’re afraid of getting boring, so you both quit your jobs and leave your apartment. I don’t get it. 0:24 This grown man is overly excited about everything that happens to him. He’ll probably die if a bug lands on him. 0:30 I bet on every page of this script you’ll see “I love you” a least 5 times. 0:37 You already ate the fat guy’s face off, you aren’t a vegetarian anymore. 0:44 “sorry for biting her”. 0:53 Portuguese zombie doctors, best in the business. 1:09 I wonder if they intentionally made the guy look like zombies from the original Dawn of the Dead.